WASHINGTON -- A top U.S. counterterrorist official says there are "a number of specific threats" aimed at this week's Winter Olympics in Sochi, Russia - with the greatest danger coming from the Caucasus Emirate, which has threatened to attack the games. Matthew Olsen, director of the National Counterterrorism Center, is telling Congress Tuesday that the U.S. and Russia are tracking threats of "varying degrees" of credibility. He said potential attacks seem more likely outside the venues for the games, and instead in the area or region around Sochi. He described intelligence sharing with Russia as "good." FBI Director James Comey said U.S. cooperation with the Russian Security Service has improved. Russia has mounted a massive security operation for the Olympics, deploying more than 50,000 police and soldiers amid threats from Muslim insurgents. Russia has gone on the offensive, trying to root out militants in the North Caucasus region, CBS News' Charlie D'Agata reported last month. Meanwhile, the Austrian Olympic Committee has received an anonymous letter containing a kidnap threat against Alpine skier Bernadette Schild and skeleton pilot Janine Flock during the Sochi Games. The letter, written in German, was delivered Monday to the mailbox of its Vienna office, AOC general secretary Peter Mennel said Tuesday. "We have immediately alerted the Federal Criminal Agency, which is investigating the case," Mennel said. Interior Ministry spokesman Karl-Heinz Grundboeck confirmed the ongoing investigation, adding that Russian authorities had been informed and that no information would be made public if or when additional security measures were established for Schild and Flock. The AOC said in a statement that it was "not regarding it as an acute threat at the moment." Mennel discussed the matter with Flock on Tuesday during a flight from Vienna to Sochi. "I am not worried, I don't think too much about the issue," Flock said after arriving in the Russian resort. "I am here to concentrate on my sport." Mennel said Flock "trusts in our security measures," adding that Austrian athletes will be accompanied by members of a police special taskforce when they leave the Olympic Village. "We have two security people here and if the threat is confirmed as actual we will give additional security to the athletes." The kidnap threat was first reported by the Austrian daily newspaper Kronen Zeitung, which initially said Marlies Schild was one of the athletes concerned. The AOC confirmed the receipt of the letter but only later Tuesday, Mennel clarified in an interview with the Austria Press Agency the threat was not directed toward Marlies Schild but at her younger sister, Bernadette. 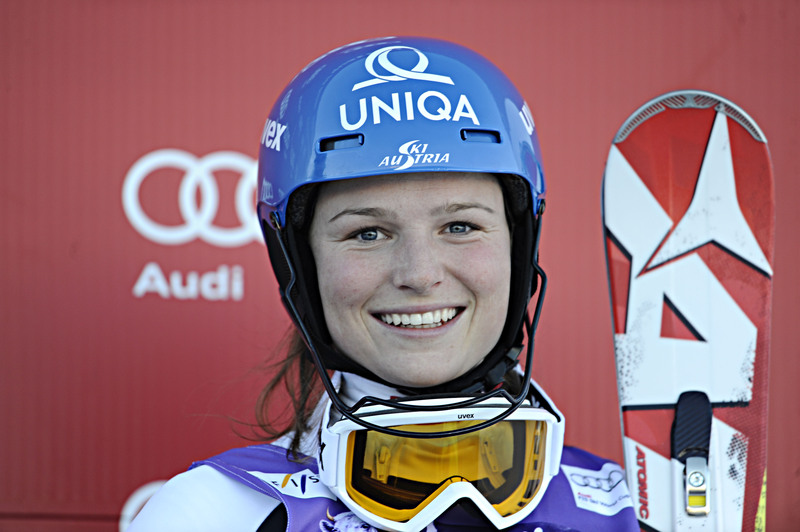 Both Schild sisters will only compete in the Feb. 21 women's slalom and they won't travel to Sochi before next week. Bernadette Schild is a first-time Olympian who earned three podiums in World Cup slaloms, most recently last Sunday in Kranjska Gora, Slovenia, where she came third behind her sister and winner Frida Hansdotter of Sweden. Marlies Schild, who won silver in slalom in Vancouver four years ago, is set to compete in her fourth Olympics. She also won silver in the combined event and bronze in slalom at the 2006 Turin Games. Flock, who is also set to make her first Olympic appearance, won the European skeleton title last month at a World Cup event in Koenigssee, Germany. The kidnap threat comes less than two weeks after a string of European Olympic committees, including Austria's, received emails containing terrorist threats against its athletes in Sochi. Those messages were later deemed a hoax by security experts, who said such threats were common ahead of big events. Sochi organizers described them as "not real.""